This is a handmade pure silver keyring. It is made with precious metal silver clay and stamped with the word fit. I love having reminders all around me to support my way of living, breathing, thinking and being. 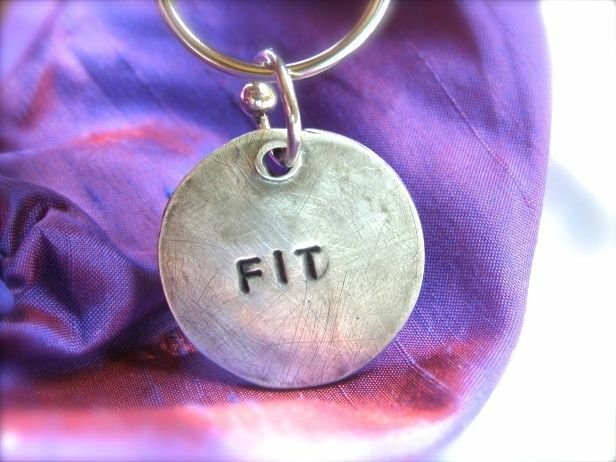 This fit keyring is a perfect little reminder to stay fit. Mentally, physically, spiritually. You can do it! Other custom words available, of course! Zen, love, yes, no, wait, lust, joy, win, go, do it, moving on, magic, luck, heal etc. Charm measures approximately 1 inch around.